This is a shortened and edited version of “Our Status in the Church” on the Catholicism.org site. Material relevant only to the New Hampshire Community has been removed so that it is strictly ad rem to the title I’ve given it on this blog. Father Feeney died in the good graces of the Church, without even the slightest ecclesiastical censure remaining upon him. He did so without having changed his position on “no salvation outside the Church.” In fact, he made no doctrinal reversals of any sort. Knowing that he maintained his dogmatic “hard line,” Church officials lifted “any censures which may have been incurred” in 1972. This is minutely documented in the books Harvard to Harvard and They Fought the Good Fight. 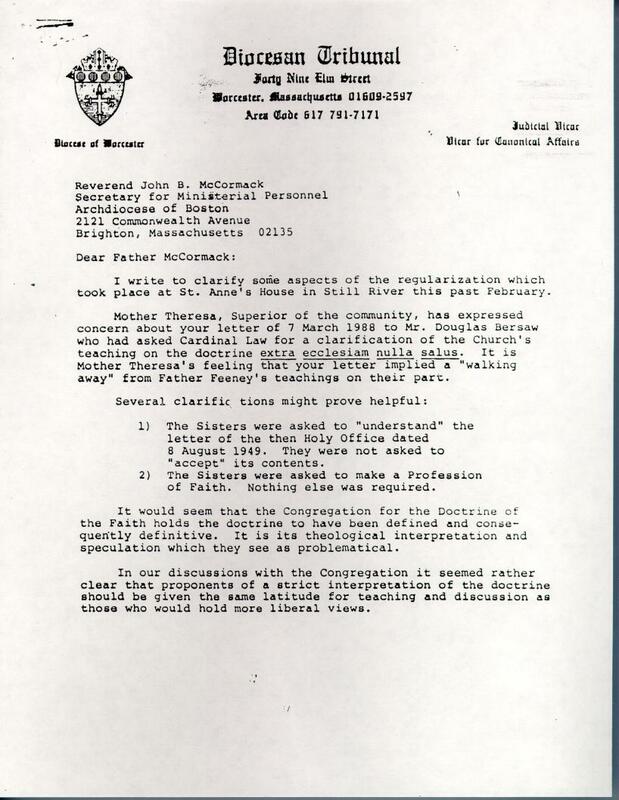 In the Diocese of Worcester, there are three religious houses whose members believe and actively defend Father Feeney’s strict defense of “no salvation outside the Church.” Additionally, they all defend Father Feeney’s good name. Those three houses are St. Benedict’s Abbey, St. Ann’s House (the good sisters have no web site), and Saint Benedict Center. The Abbot of the Benedictine Abbey recently wrote a book defending Father Feeney, Harvard to Harvard. He remains a Benedictine Abbot — a prelate of the Catholic Church — in good standing. Brother Thomas Mary Sennott, who was one of Father Feeney’s original followers, wrote a defense of our doctrinal position in his book, They Fought the Good Fight, which was published in 1987. Besides Brother Thomas Mary’s narrative and annotations, the book has long excerpts from Father Feeney’s strongest writings on “no salvation outside the Church.” Significantly, the book bears the Imprimi potest of Bishop Timothy J. Harrington, the Bishop of Worcester. (His Excellency granted this on January 15, 1987, thus indicating that the volume is free of doctrinal or moral error.) The book is now out of print, but is available on Amazon.com (ISBN #0-9620994-0-6). 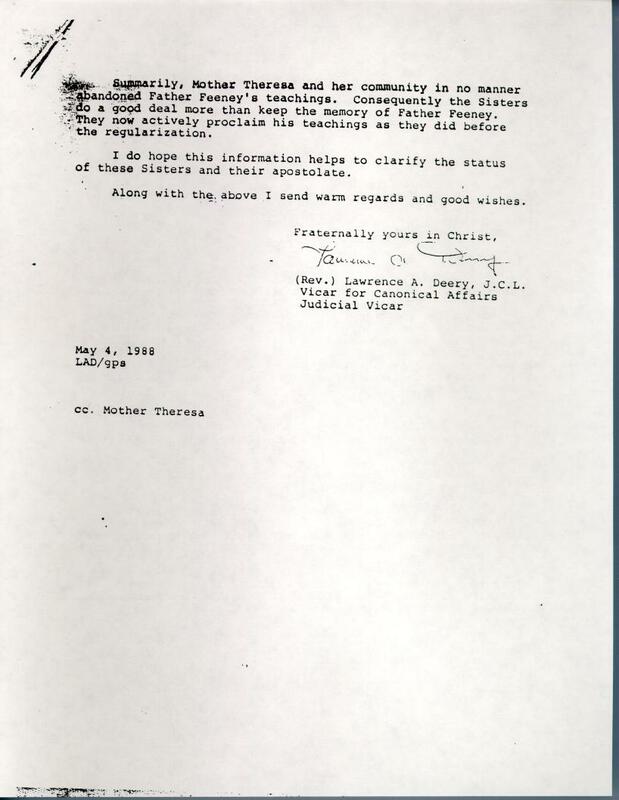 Brother Thomas Mary, who is now deceased, had a web site that a friend of his now keeps on line. Below are links to three graphic files. They are all on letterhead from the Diocese of Worcester, Massachusetts. They demonstrate the cordial relations that existed between Brother Francis and His Excellency Bishop Harrington of Worcester. 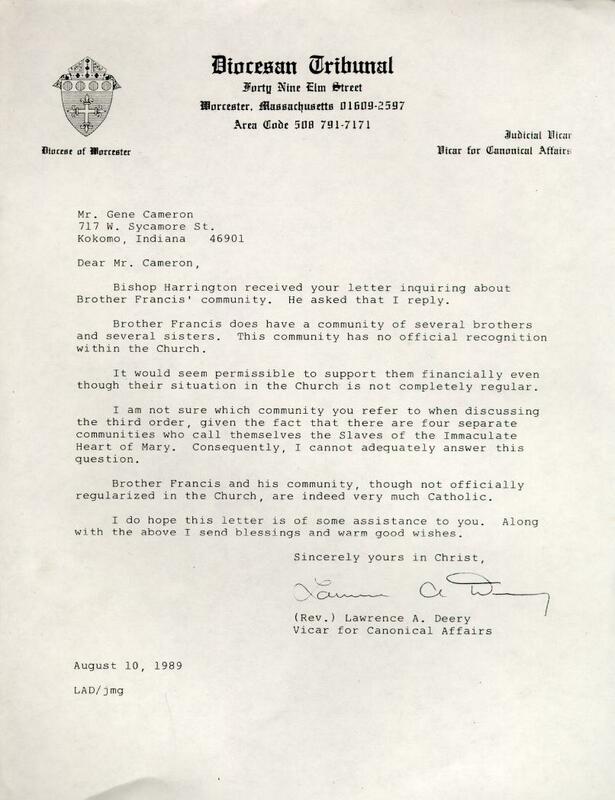 First letter: From Father Lawrence A. Deery, J.C.L. to Mr. Gene Cameron. It affirms that the Slaves of the Immaculate Heart of Mary are “indeed very much Catholic.” Father (later Monsignor) Deery was the Judicial Vicar and the Vicar for Canonical Affairs for the Diocese of Worcester. 1 Mr. Vere obtained his Licentiate of Canon Law from the Faculty of Canon Law at Saint Paul University. 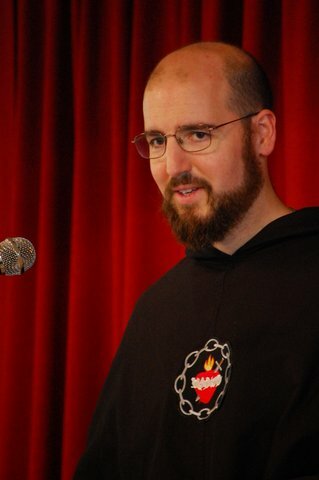 As a Catholic writer, canonist and apologist, his work has appeared in numerous Catholic publications, including Surprised by Truth 3. 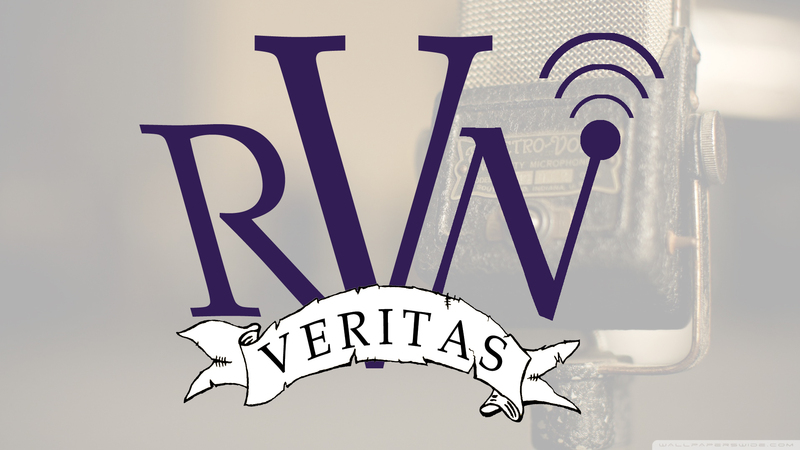 He is the co-author of Surprised by Canon Law: 150 Questions Catholics Ask About Canon Law and More Catholic Than the Pope. Additionally, Mr. Vere is the lecturing professor for the Masters-level course in Canon Law offered by the Catholic Distance University.